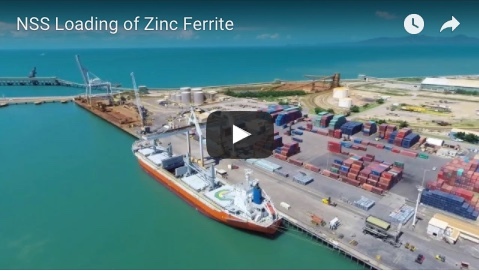 The first shipment of 5500 wet metric tonnes of zinc concentrate from Red River Resources' Thalanga mine in north Queensland has been loaded at the Port of Townsville, bound for the Port of Lianyungang in China. NSS general manager David King described the shipment as a significant milestone in the development of the Thalanga zinc operations and a credit to the Red River team. 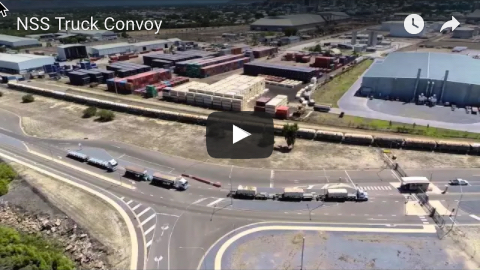 "As Red River Resources’ port logistics and stevedoring service provider, NSS is proud to be a part of this success, which reaffirms our commitment to invest in innovative state of the art facilities and equipment to support mining exports," Mr King said. Zinc and lead concentrates from Thalanga are sold under an offtake agreement to Trafigura. Red River Resources has also completed its first delivery of copper concentrate under its offtake agreement with Glencore International A.G, which takes the concentrate at the Thalanga mine gate. The first shipment of zinc concentrate and first delivery of copper concentrate follow the successful commissioning and ramp up of the Thalanga zinc project, which began production in September 2017.